WOMAD (World of Music Art and Dance) is a wonderfully eclectic festival, attracting a variety of visitors (including an admittedly large proportion of bare-footed middle class families seeking a weekend of escapism) and an even greater variety of entertainment sourced from around the world. Situated on an idyllic site (which includes an arboretum), it is often recognised as a family festival, bringing together a diversity of music, arts, dance and food to suit a range of tastes. Although I am yet to partake in the dance workshops, cooking classes or yoga mornings on offer, each year I come away having heard some fantastic new music. Highlights have included Portico Quartet, Jambinai and Songhoy Blues, as well as some old favourites, such as Gil Scott Heron, Jimmy Cliff and Tinariwen. One of the things I enjoy most about the festival is not knowing exactly what I will encounter, not having an itinerary of bands to see but instead getting to discover new acts. 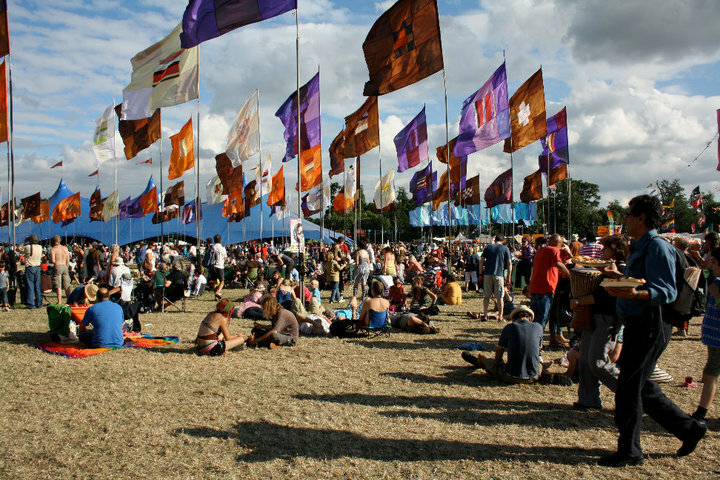 The cultural diversity of the festival was the focus of a research project undertaken by BOP Consulting, which sought to understand the impact of WOMAD on visitors, particularly the effects of viewing performances by musicians from around the world on people’s cultural identities. I was quick to respond to an advert by BOP asking for volunteers with an interest in social research as well as audio and visual methods, feeling like an ideal candidate given my recent research into the soundscapes of walking. Happily, I was selected as a volunteer, as my visit to WOMAD this year was the first time that I found an outlet for some of the research skills I have acquired since studying for the Society and Space MSc. The research carried out for BOP could be situated as falling within both interviewing and ethnographic methods. Volunteers took photographs to document the kinds of activities taking place, and conducted semi-structured interviews with festival punters to develop an understanding of their experiences. 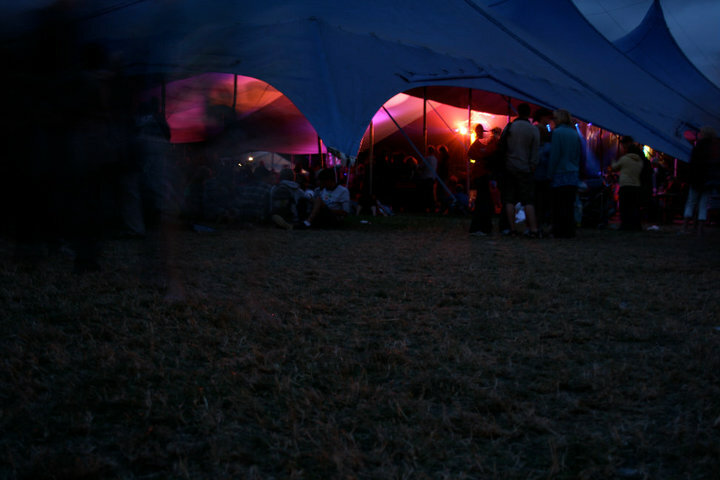 Although at first the process felt a little awkward, much like any interview, the participants soon settled into the process, providing brief insights into the attraction of WOMAD compared to other festivals. The work was a fantastic opportunity, not only since we were asked to give a very short amount of time in exchange for a weekend ticket, but also because it provided a chance to hear about people’s experiences at WOMAD and note the ways people engaged differently with the festival space. It was of particular interest to me to experience the ways qualitative methods are utilised for non-academic purposes. However, for me, the experience itself opened up further questions about the potential of qualitative methods more broadly. Cultural geographers are increasingly challenging methodological conventions through an investigation into the potential of experimental and creative methodologies (Butler, 2006; Dewsbury, 2010; Enigbokan and Patchett, 2011). For me, the significance of such approaches is that they can be better attuned to the immanence of the event – that is, to the emergent, transient and indefinable processes that constitute it. At a music festival, this might be the ways gatherings of bodies shape pathways and determine actions, or how perceptive and sensory affects are activated when listening to a poignant song in the rain. Methodological approaches that can attend to such encounters are necessary because many of the ‘positive impacts’ that we might find at a festival are ones that are not easily written into an assessment form or given in response to a set of preselected questions, but rather arise in ineffable and indeterminate moments. The question that has stayed with me following my work at WOMAD, then, is what kinds of creative methodologies might be translatable for mainstream research projects, allowing them to attend to these less ‘writable’ impacts of an event? Whilst the participants’ responses to questions explain the reasons a select group decided to visit the festival and what they enjoyed about it, these responses do little to account for the atmospheric and affective encounters that shape a festival experience. Equally, a few quick snaps on an iPad will provide some visual documentation of a site, but are less effective at stimulating a sensory experience with a spectator (one that is different with each encounter). Of course, the kinds of methodologies indicated here may appear less rigorous, objective and reliable than conventional methods, but in their openness, experimental methods could allow us to grasp that ‘something’ of an event or experience that is not so easily understood, or the nuances not so easily grasped. Butler, T. (2006) A walk of art: the potential of the sound walk as practice in cultural geography. Social and Cultural Geography, 7 (6), 889-908. Dewsbury, J-D. (2010) Performative, non-representational, and affect-based research: seven injunctions. In: D. Delyser, S. Herbert, S. Aitken, and M. Crang, eds. The SAGE Handbook of Qualitative Geography. London, SAGE, 321-334. Enigbokan, A. and Patchett, M. (2011) Speaking with spectres: experimental geographies in practice. Cultural Geographies, 19, 535-546.